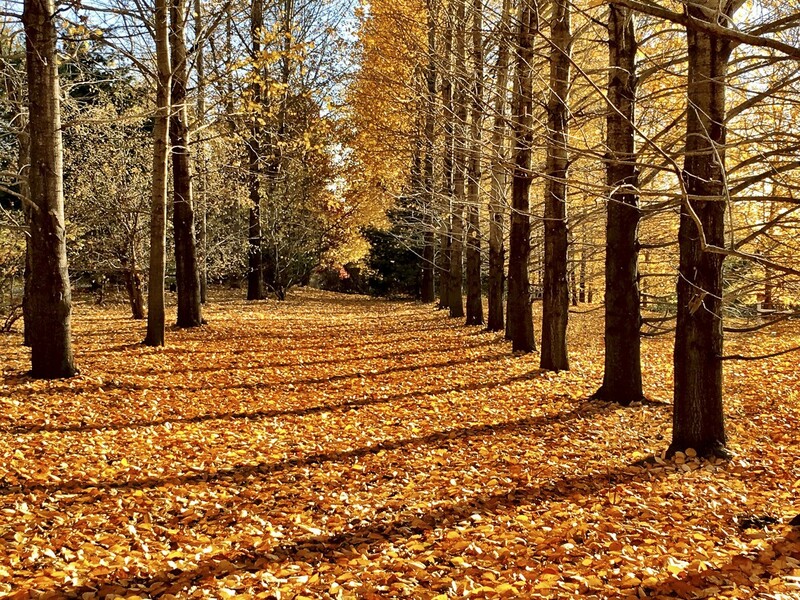 To many, fall is the most beautiful time of year to enjoy New England – and Washington is at the epicenter of this splendid season. With our rolling hills and magnificent vistas, Washington is one of the best towns in Connecticut for viewing the fall foliage, enjoying the season’s bounty and relishing the crisp air before winter sneaks up. 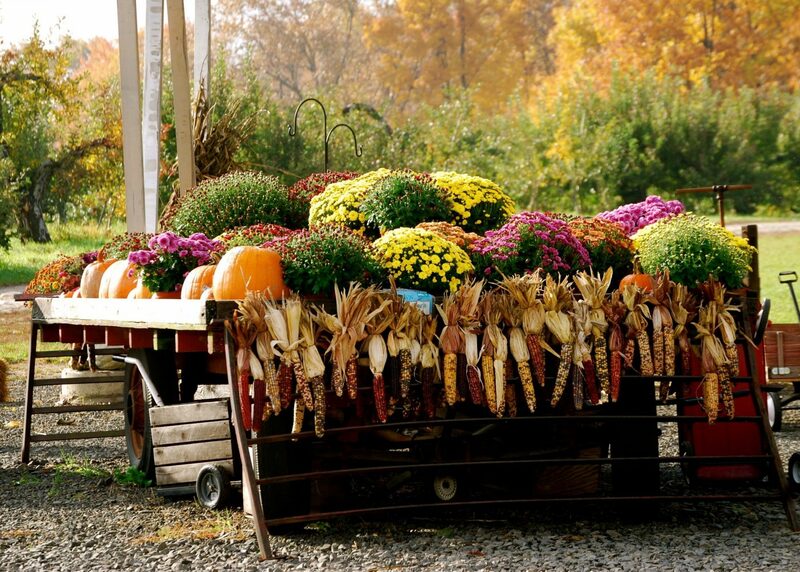 Come enjoy these favorite fall things to do. The five villages of Washington are crisscrossed with scenic roads and breathtaking vistas from which to view New England’s unsurpassed fall foliage. Whether by car, by bicycle or on foot, Washington is a leaf-peepers dream. And don’t forget to explore our many hiking trails and state parks that provide ideal fall foliage vantage points. In fact, Washington is cited by US News & World Reports as one of the fifty towns across America with the most gorgeous fall foliage. There is nothing like picking apples to signal that fall is upon us. Washington offers many classic harvest traditions like apple and pumpkin picking and fresh cider donuts at local, family-owned farms, like historic Averill Farm. Another fun harvest event in the Annual Wine & Cheese Market at Hopkins Vineyard each October, which celebrates the wine harvest. And the Washington Farmers Market offers autumn bounty fresh from our many local farms right through the end of November. Hiking in the fall is delightful. The weather is comfortable, the air is crisp, and the views of nature in full glory are striking. Steep Rock Association is the steward of many beautiful hiking trails in Washington’s protected preserves. There are also three state parks in and bordering Washington that offers a pristine setting for outdoor activities. You can also explore scenic Lake Waramaug by paddle, especially breathtaking during the fall foliage season. You can rent a kayak, canoe or stand up paddle board at Lake Waramaug State Park, or bring your own. Pedal through the five charming villages of Washington and experience some of the most scenic, and challenging, bike rides in Connecticut. Some of our hiking trails allow mountain biking if rugged terrain is how your roll. Halloween is a big deal in Washington! Don’t miss the Washington Green Cemetery Tour, where costumed actors bring to life stories of memorable citizens from centuries past, right within the luminary-lined cemetery – spooky! 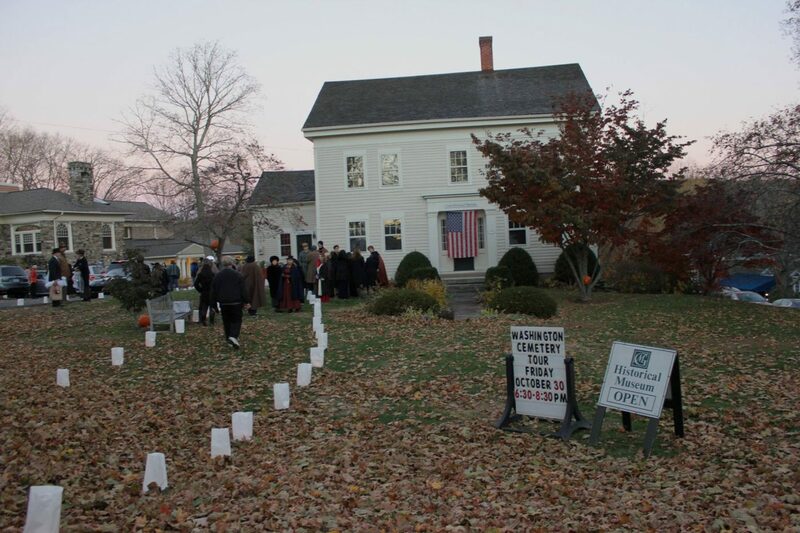 This dramatic event, brought to us by the Gunn Historical Museum, is not to be missed. Ready to feather your nest in time for a long, cozy winter? In our opinion, Washington is the best place to do so. With world-class home décor and antique shops in New Preston and Washington Depot, shopping is a museum-like experience. Stroll our charming streets and explore our one-of-a-kind shops. You are bound to discover that special find that you just must have!